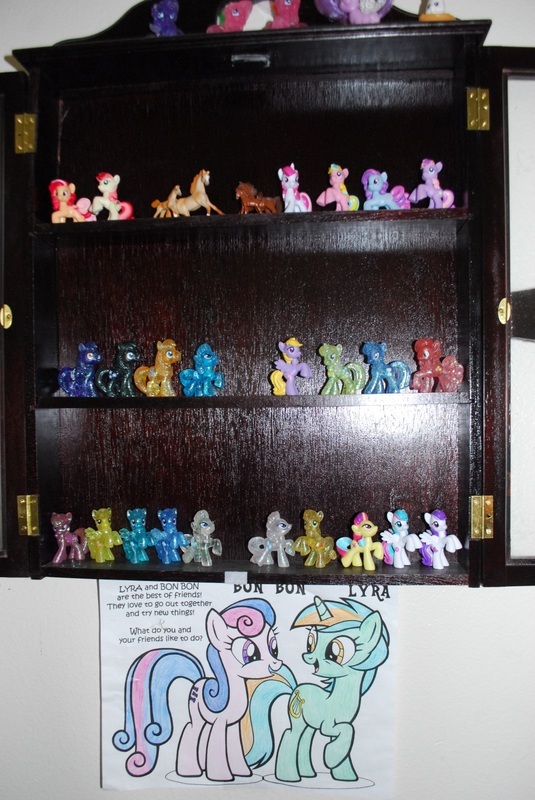 So I've been meaning to chronicle my obsessive collection of Ponies for a while now, and thanks to the MLP Collection Contest at EquestriaDaily.com I got a deadline that made me go on out and organize my stuff for shiny beautiful display! 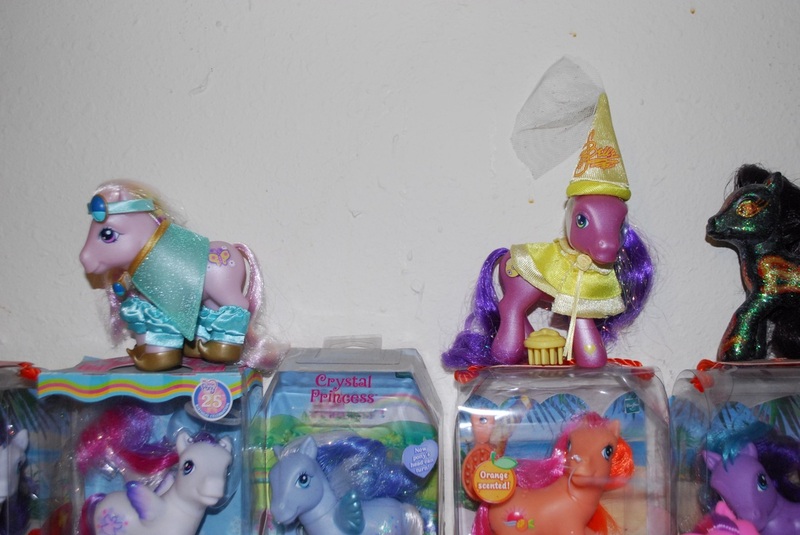 Just to clarify, I do run a Pony business, but none of the items shown are for sale. These are all my personal darlings. There are a LOT of pictures. 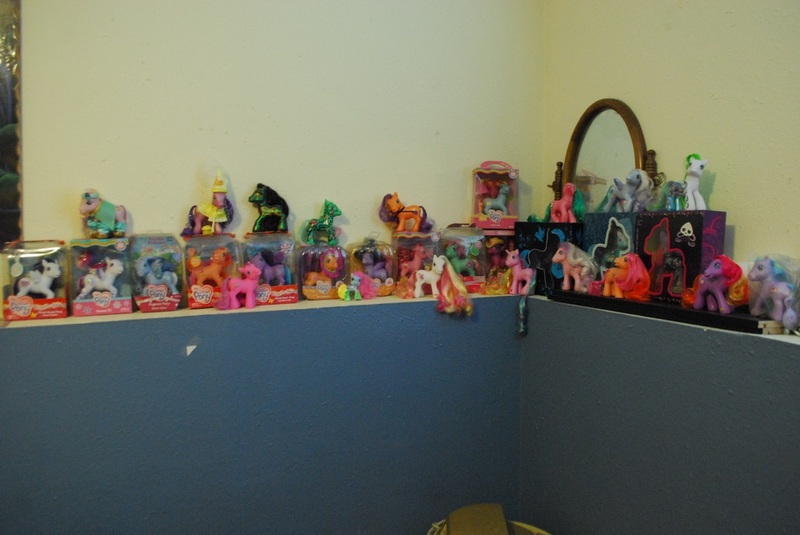 Current quantity totals: 92 Blind Bag minis (including one Breezie and 2 unreleased ponies. One giant Swag Bag from We Love Fine Tees. One 12" White Celestia that talks. 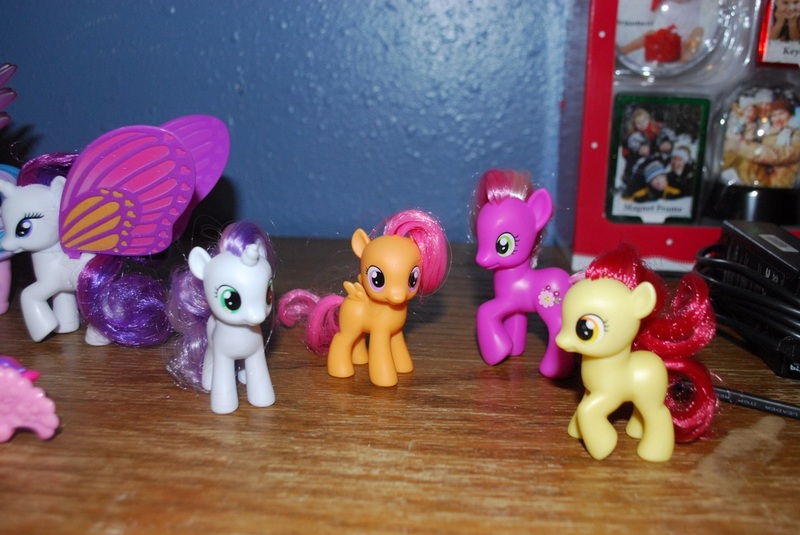 A bunch of Mint In box Friendship is Magic Ponies, including Diamond Rose, Sunny Rays, and Rainbow Dash. 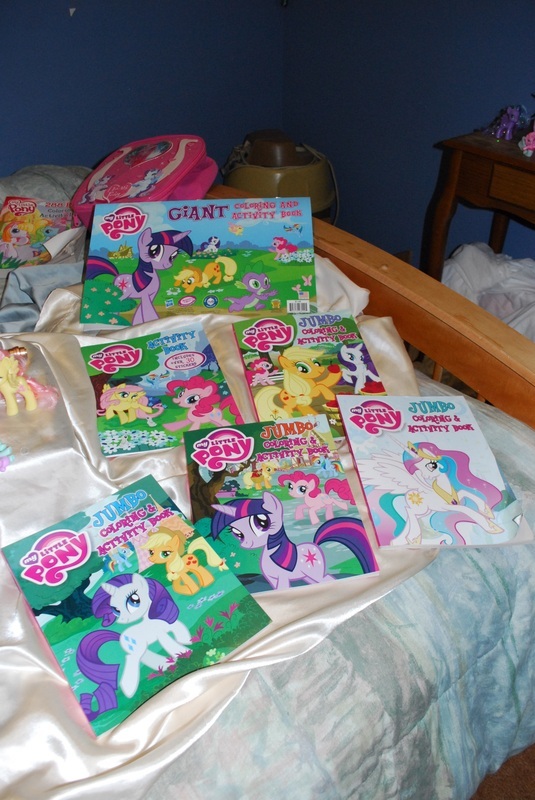 Five Coloring books including a Giant coloring pad. 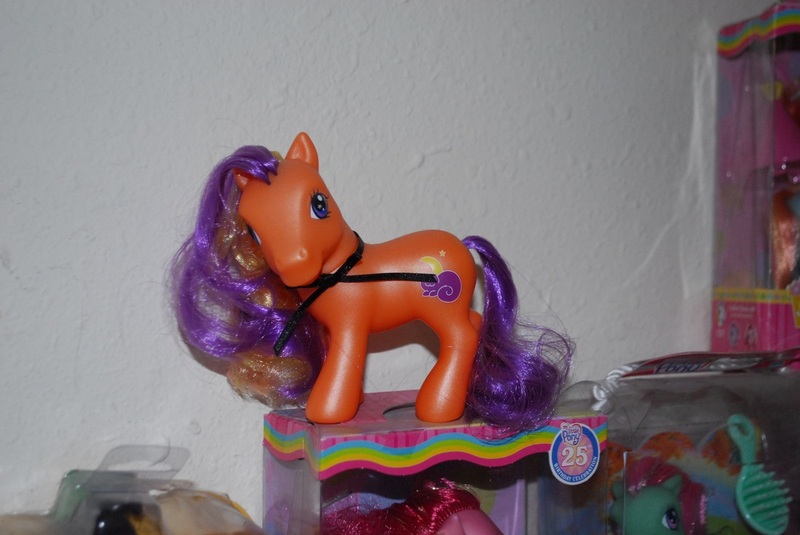 The Toys R Us Pony collection MIB. 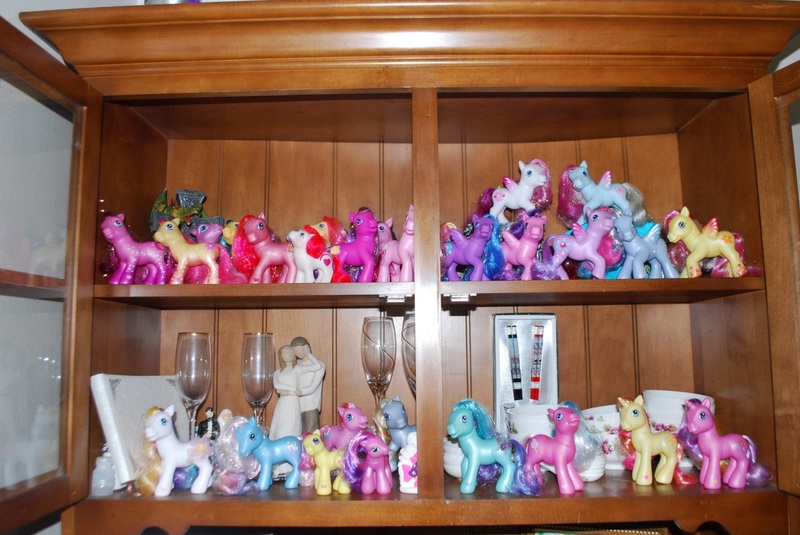 I haven't actually counted my G3 Ponies. 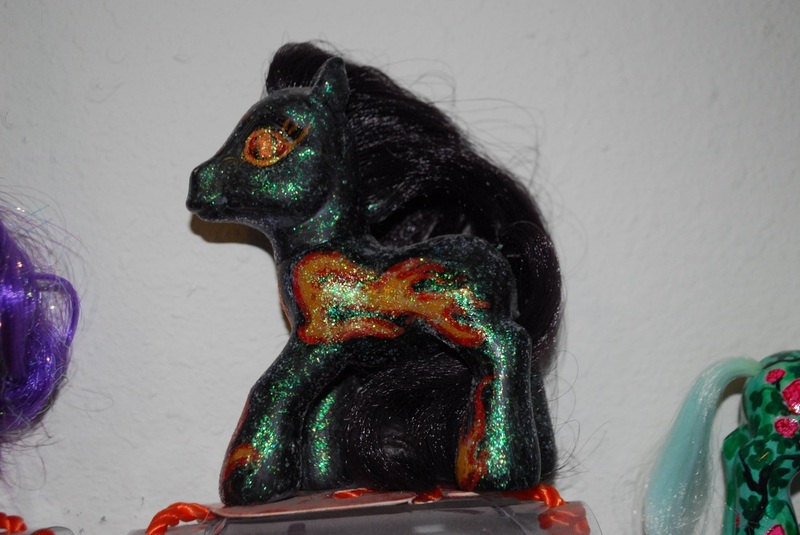 I have 11 MIB G3 Ponies, 2 mail-aways Mint in bag. 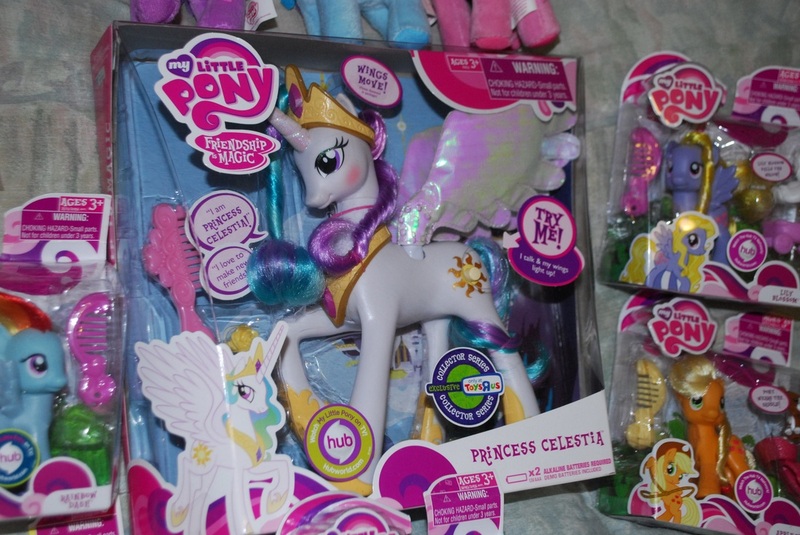 All my unopened Friendship is Magic Ponies! Plus Mcdonalds toys. 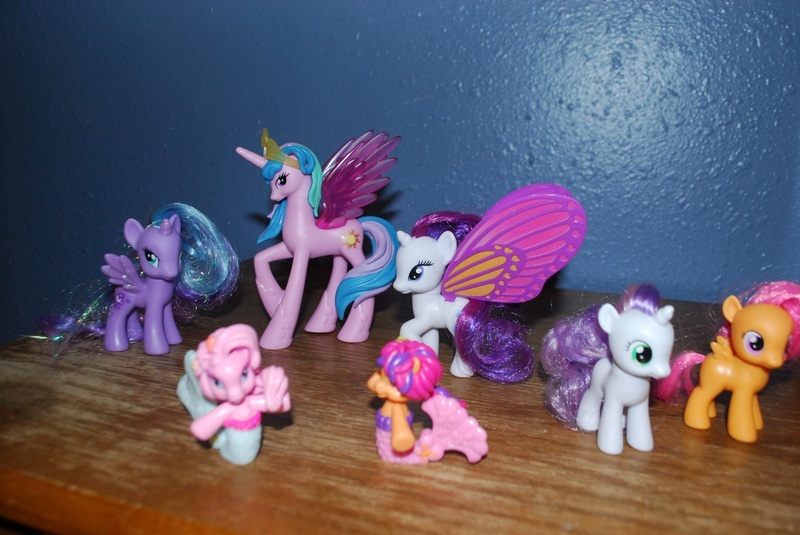 My Pinkie Pie Collection! All five (so far) Pinkie's. 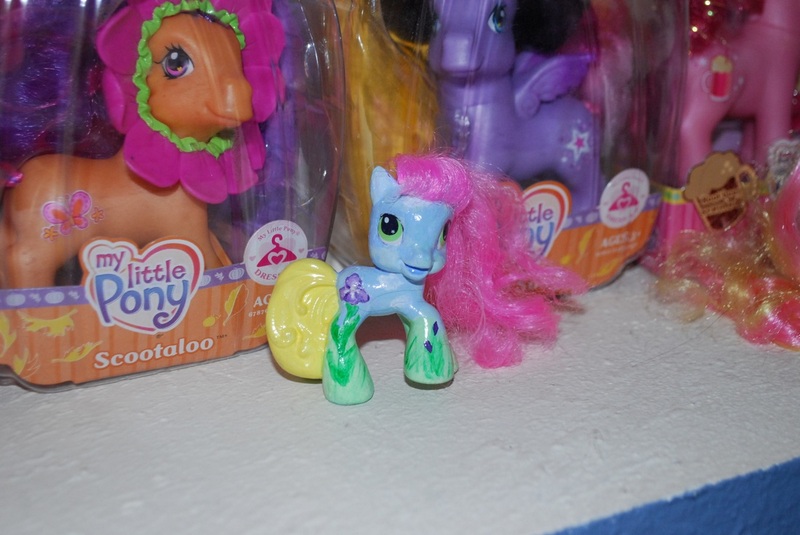 The ORIGINAL 2002 Pinkie Pie (first released ever) My Fluttershy with hair styled. Two unreleased Blind Bags (courtesy of China) Key Lime and Dainty Daisy. 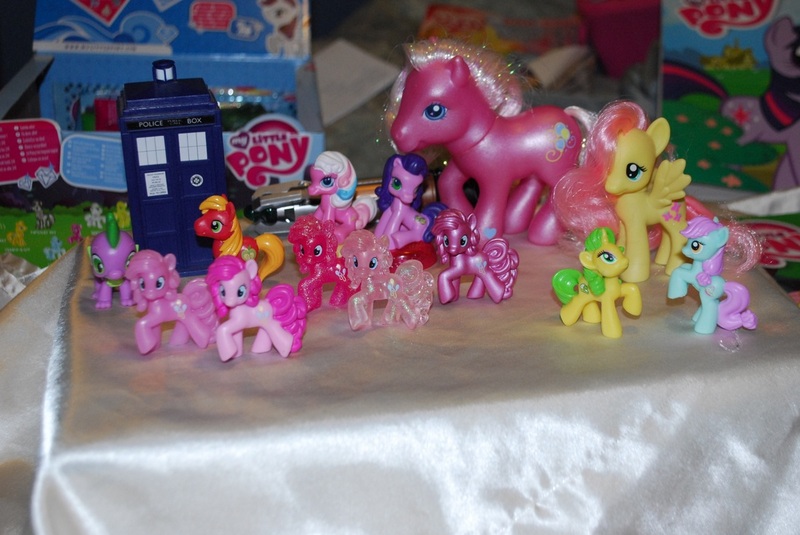 Plus Spike, Big Mac, and a Tardis. 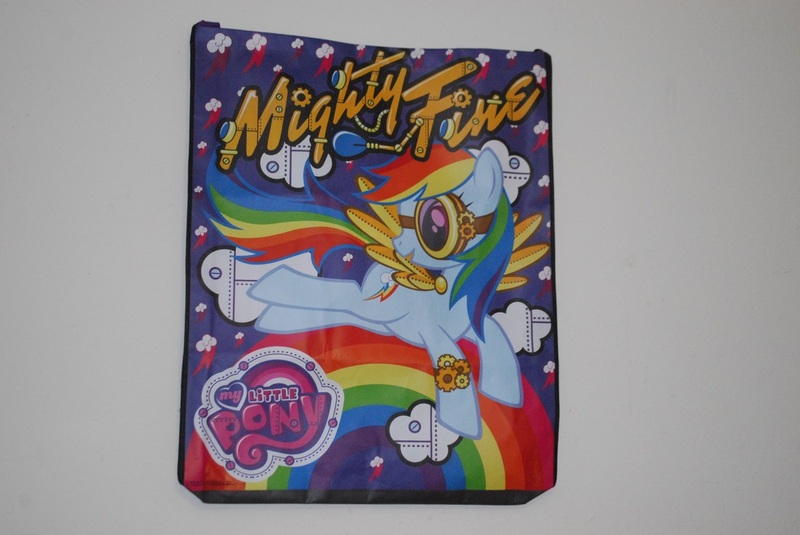 (That's totally a pony thing right? ;) Doctor Whooves!) Plus two Mcdonalds G3 Minis Cotton Candy and Kimono. 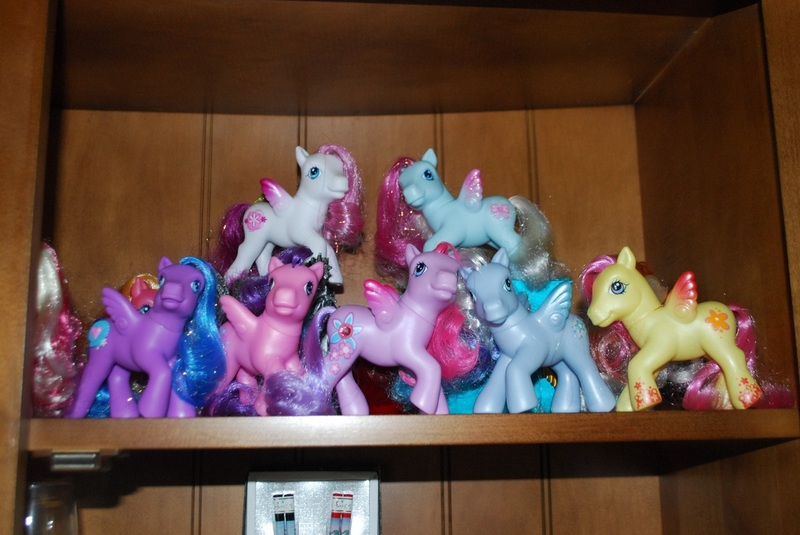 I bought all three cases for myself, but I don't have room to display all the minis on a shelf until I get more shelving in my Pony room. 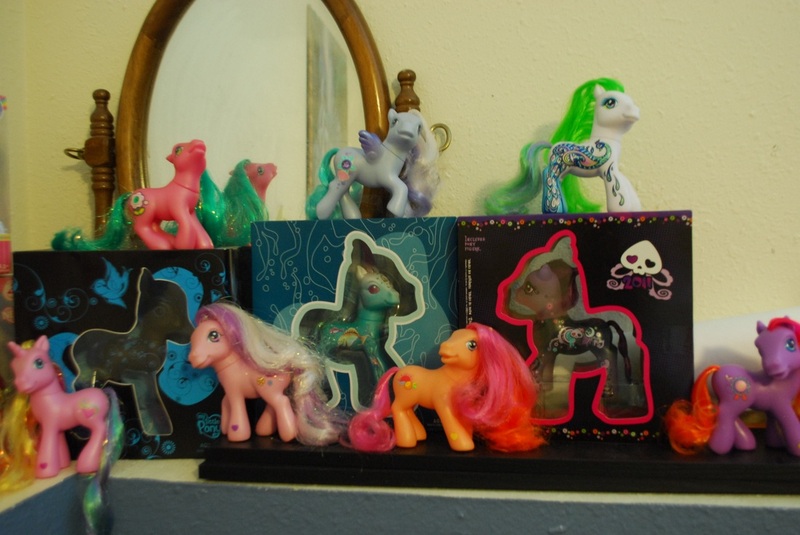 Mint In Box Collector Ponies, plus out of Box Peacock Pony. 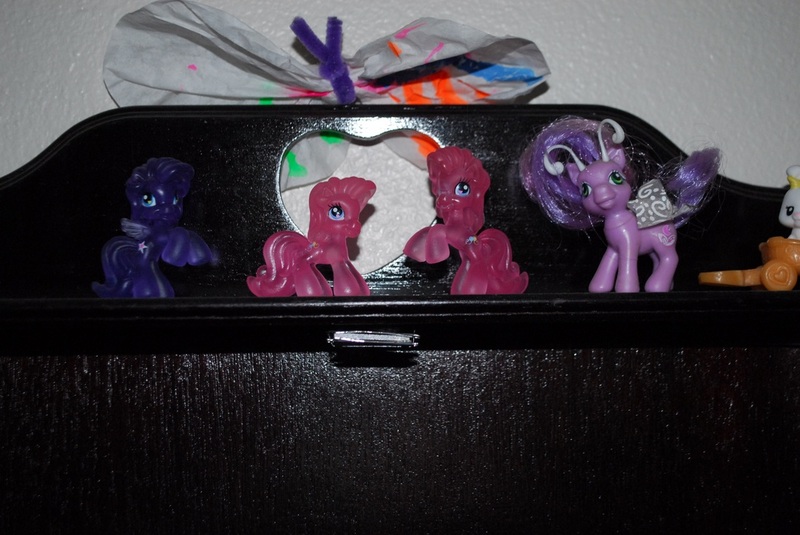 Princess Luna, Princess Celestia, Rarity with Butterfly Wings. G3 Mermaid Pinkie and Scootaloo. 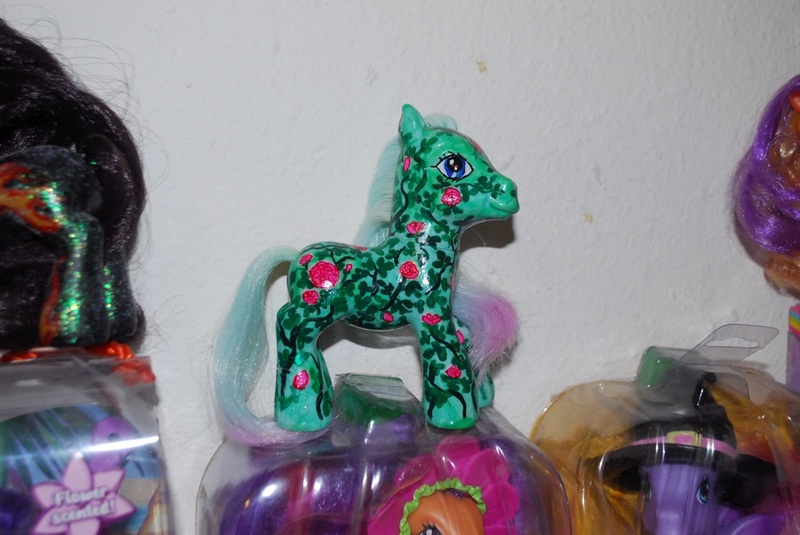 Custom Rose Bush Pony painted by me. Strawberry Reef, Waterfire, Shell Belle. Island Ponies. Disney Princess Pony outfits! G3 Fluttershy as Jasmine, and G3 Kimono as Belle.